Plenty of watches have sapphire backs that let you see their inner workings. 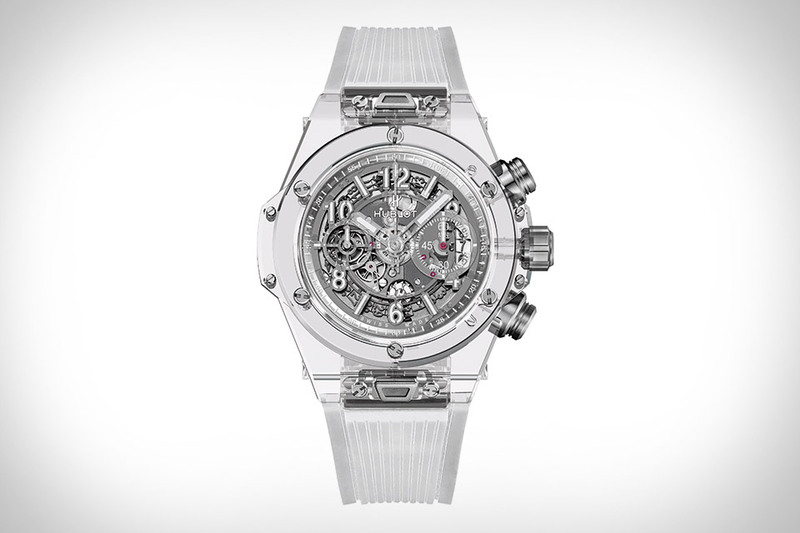 The Hublot Big Bang Unico Sapphire Watch goes a step further, building the middle, bezel, and back of the case out of the hard, scratch resistant material. Continuing the transparent theme, the skeleton dial is made from transparent resin, while the screws, crown, and buckle are made of titanium, all the better to show off the Unico HUB1242 movement. Finished with a transparent strap and limited to just 500 pieces.